Lanna Brown is a San Diego area agent who brings a strategic yet personable approach to the home buying and selling process. Lanna holds her B.A. from Purdue University. In 2015, Lanna received her Juris Doctorate from Thomas Jefferson School of Law in San Diego and received the American Jurisprudence Award for Contract Law. The combination of her success in transactional law and her passion for being an informed consumer lead her to pursue her career in real estate. Lanna’s contract interpretation and negotiation skills allow to her to complete real estate transactions with the upmost care and professionalism. Originally from Chicago, IL., Lanna fell in love with San Diego and upon her first visit to the sunny city when she was touring law schools and she knew San Diego was where she wanted to call home. After signing a lease to her apartment during that first visit Lanna has resided in downtown San Diego and has become especially familiar with the downtown and urban markets. 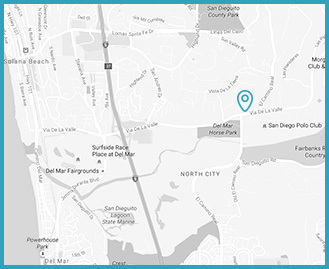 Lanna has made San Diego her home and is passionate in doing so for her clients as well. When Lanna isn’t working with clients, you can find her on the golf course. She is also an avid snow-skier and travels to some of the most sought after mountains to enjoy her love for the outdoors.